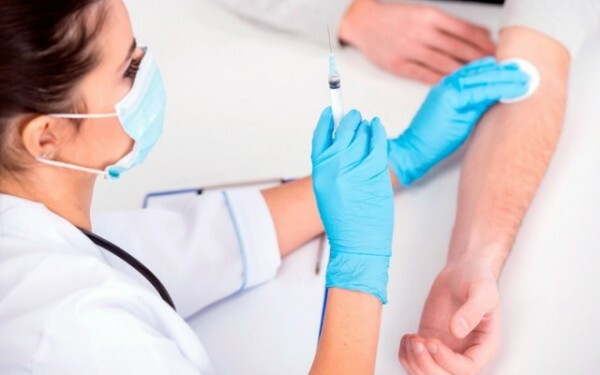 (Natural News) Despite increasingly large and overwhelming pushes from Big Pharma and Big Medicine, their attempts to persuade more people to vaccinate themselves seem to be increasingly ignored. Perhaps the dangers of vaccines are finally being realized by the general public, or perhaps people are losing their faith in the government and pharmaceutical companies. Regardless of the reason, the number of young people choosing to abstain from the yearly flu shot has recently been record breaking. In 2014, Natural News reported that barely one-third of U.S. adults between the ages of 18 and 64 received a flu shot. With vaccinations in what appears to be a downward spiral, it is no surprise that the media continues to push Big Pharma’s agenda by trying to scare people into getting jabbed. Their propaganda failed to fool about 35.7 percent of young adults that season, but who knows what scare tactics they will come up with next. Countless studies have found that flu shots can carry serious side effects, and provide at best minimal protection against the flu. What is truly ironic is the fact that the two populations that will receive the least amount of benefit from vaccination – young children and senior citizens – are the two groups who are cited as needing the most protection! Hasn’t your doctor ever told you that you need to vaccinate your baby to protect it from the flu? And yet, the CDC admits on their own website that reduced vaccine efficacy has been seen in very young children and older adults. There are many reasons why people choose not to be vaccinated. Vactruth reports that several vaccines on the market today contain up to 25 micrograms of mercury. Flu vaccines manufactured by Merck, Novartis and GlaxoSmithKline are all purported to contain the heavy metal, which is known for its toxic side effects. Getting vaccinated also causes you to become a carrier of the virus you were vaccinated against. One study found that 80 percent of children in a daycare setting continued to shed one or more live virus strains for an average of 7.5 days after vaccination. In other words, getting vaccinated may not have a negative effect on you personally, but could very well cause someone else to become ill. While there are many disconcerting things about the flu vaccine, perhaps the fact that each year a new concoction is developed based on guesswork is one of its more unsettling aspects. In a way, flu vaccines are practically tested on the people who are receiving them. The researchers who develop them are merely creating a “best guess” solution to an illness that may or may not be prevalent. The flu shot can only target specific strains of the virus; which viruses are featured in each vaccine is determined by mathematical equation. Nature does not act according to formula or equations, however, and often renders flu vaccines useless.